When you want to be wrapped in luxury, you need to choose a vehicle like the 2017 Jaguar XE. This new model boasts a very impressive interior that is sure to please all types of Washington DC, Baltimore, and Arnold drivers. Take a look at what you can expect to find in the cabin of this new model. The dashboard offers an array of luxury you’ll be sure to love. This dashboard is uniquely designed to sweep away from the driver to create more space and a more elegant appearance. Not only has the look been revamped, but you can count on this model to deliver more accessibility, as everything you could want is within reach. From the minute you press the start button, the XE will come to life. The JaguarDrive® Control rises so that it seamlessly meets your hands and puts you in complete control. Besides having control of your vehicle, this new model uses the best craftsmanship and materials to ensure you are always experiencing a luxury interior. For instance, you can choose twin-stitched, glove-soft leather or opt for a sleek veneer in a wide assortment of colors. In addition to quality materials, the cabin allows you to personalize it. For instance, while Jaguar will supply the materials, you can simply decide how you want the cabin of your vehicle to look and feel. That’s right—everything is in your control and created up to your standards. As an added touch of elegance, you’ll also enjoy contemporary finishes, such as Satin Chrome trims and finishes. This is not only fun to look at while giving the cabin flair, but it proves that there are so many fine details inside the cabin that need to be noticed. No matter if you’re taking a quick trip or a long getaway, you want to be sure that you are completely comfortable. The Jaguar XE offers plenty of cabin space so you and up to four additional passengers can ride comfortably. In addition, you’ll also receive up to 15.9 cubic feet of cargo space, which means in addition to your friends and family, you can haul plenty of belongings too. Besides the traditional cargo space, you will also enjoy the various interior storage, such as the overhead sunglasses compartment, smartphone tray, and bottle holders. You can also bring the rear seats down and expand your cargo area. If a luxury interior is on your must-have list, then you want to be sure you choose the 2017 Jaguar XE as your next vehicle of choice. 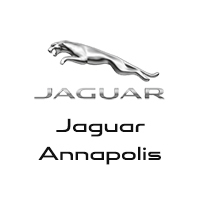 Jaguar Annapolis has plenty of this new model for you to choose from, so be sure to visit us today at 101 Ferguson Road. You can also contact us online or call us at (410) 904-3107 to apply for financing.